One of the most beloved poets of the twentieth century, Rainer Maria Rilke is widely celebrated for his depth of insight and timeless relevance. He has influenced generations of writers with his classic Letters to a Young Poet, and his reflections on the divine and our place in the world are disarmingly profound. 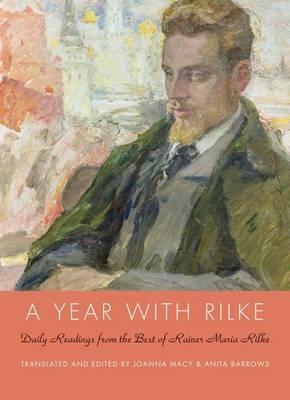 A Year with Rilke provides the first ever reading from Rilke for every day of the year, including selections from his luminous poetry, his piercing prose, and his intimate letters and journals. Rilke is a trusted guide amid the bustle of our daily experience, reflecting on such themes as impermanence, the beauty of creation, the voice of God, and the importance of solitude. With new translations from the editors, whose acclaimed translation of Rilke's The Book of Hours won an ardent readership, this collection reveals the depth and breadth of Rilke's acclaimed work.